I thought I would share a bird from my last trip up to Wyoming. Shrikes are endlessly fascinating birds to watch that are ruthless hunters specialized in impaling their prey on sharp objects such as thorns and yes barbed wire. 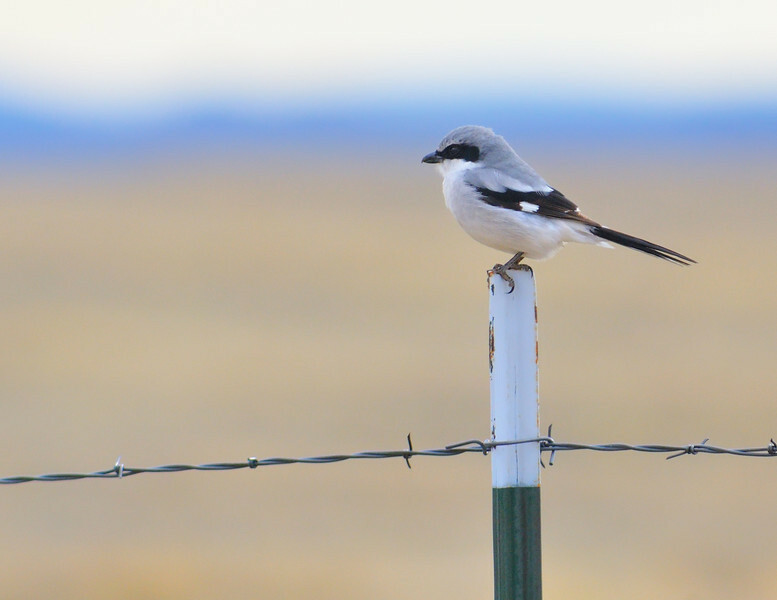 This one is a Loggerhead Shrike ( http://www.birds.cornell.edu/AllAboutBirds/BirdGuide/Loggerhead_Shrike_dtl.html ) .